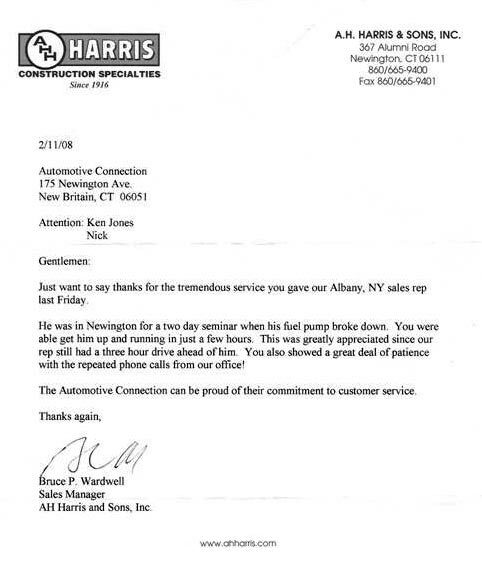 Below is a letter we received from a customer. 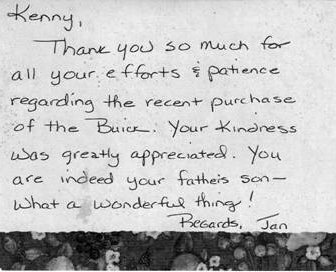 This is just an example of the quality of service we strive to offer. Below is a note we received from a customer. Click here to read some reviews from our customers.